Bill O'Hanlon is a psychotherapist who was strongly influenced by the creative and eccentric psychiatrist Milton Erickson. O'Hanlon developed his own therapeutic method, the Solution-Oriented Approach (later renamed Possibility Therapy), which focuses on using an individual's own strengths and goals to bring about change within a brief framework. 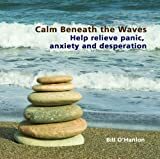 As a psychologist, I have found O'Hanlon's brief, solution-focused ideas extremely helpful to my work, and thus I was hoping to discover more of the same useful tools in this CD. Although this disc is dated 2009, it is clearly based on an earlier recording, as O'Hanlon makes references to “using this tape” throughout. He comes across as very calm, soft-spoken, and gentle, beginning the session by offering the listener genuine empathy for their current experience and noting that he has been in that place himself. O'Hanlon also stresses the importance of “being where you are,” lapsing into the first of several anecdotes, this one about a former client who was sexually abused. This storytelling style is a hallmark of O'Hanlon's Ericksonian background, and it is his main form of teaching here. A second point which O'Hanlon makes is the idea of looking fear directly in the eye; again, this idea is illustrated by a narrative featuring yet another individual with whom O'Hanlon has crossed paths. O'Hanlon also shares a particularly lengthy, detailed account of a young woman with agoraphobia, or fear of leaving home. He describes two separate experiences in this woman's situation: in the first, she discovers that her worst case scenario won't happen even when she is trying to make it occur, and in the second, she realizes that she can reclaim some of what fear has taken away from her by standing up to her fear. In the second half of the audio, O'Hanlon talks more specifically about how the voices of fear, anxiety, desperation, and hopelessness that are in your head might be getting in the way of your goals and restricting your life. This time, he mentions a friend of his, a runner, who wanted to train for a marathon but who was having difficulties getting in the extra running miles needed for his training; O'Hanlon reveals that his friend learned how to treat the negative voices in his head as a tape recording, one that he could simply choose to ignore as he went on with his necessary preparations. In a similar tale, O'Hanlon adapts an old tale featuring the Hindu God Vishnu and the “fear monster,” a monster who grows larger when allowed to feed upon fear. The final part of this CD involves a discussion of trances. O'Hanlon, a Certified Clinical Hypnotherapist, makes a distinction between the positive experience of a hypnotic trance and the negative experience of a symptom trance—for example, the type of trance that occurs during the purging phase of an eating disorder. Given this, he recommends finding some small way to change the pattern associated with your own symptoms, suggesting that even the smallest behavioral change will help to draw you out of the symptom trace. This leads to O'Hanlon's final analogy, a comparison between rats and humans—the idea here is that when necessary, rats will learn new information to survive, whereas humans tend to repeat the same mistakes over and over again. Or, in other words, O'Hanlon offers the saying “there's nothing as dangerous as an idea when it's the only one you have,” encouraging the listener to take some of the suggestions from this recording and hopefully to try something new. Despite O'Hanlon's background in brief, solutions-oriented work, users aren't likely to find a quick fix for their panic, anxiety, or desperation issues in this 40-minute session. Although some general strategies are offered—for example, the ideas of facing your fears directly and of changing one small aspect of your usual symptom pattern—O'Hanlon's style here is largely anecdotal rather than focused on specific techniques. Given this, those looking for more concrete self-help advice might be disappointed by this CD. However, there is certainly a benefit to knowing 1) that you are not alone, 2) that others have struggled with challenging life issues and have identified solutions, and 3) that the gentle spirit of O'Hanlon believes it is possible for you to find your way as well.